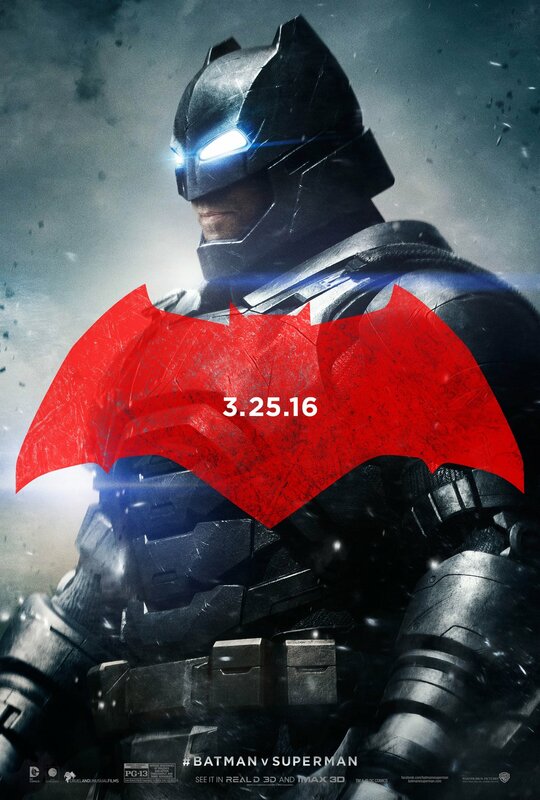 If things weren’t hyped enough thanks to the recently released new theatrical trailer, Warner Bros. and DC Entertainment have a lot more in store to promote the next chapter in their expanding DC Cinematic Universe with this coming March’s “Batman v Superman: Dawn of Justice“, as three new character posters have been released highlighting none other than the “DC Trinity” themselves – Batman, Superman, and Wonder Woman. Courtesy of WB and Comic Book.com, here are the character posters individually. 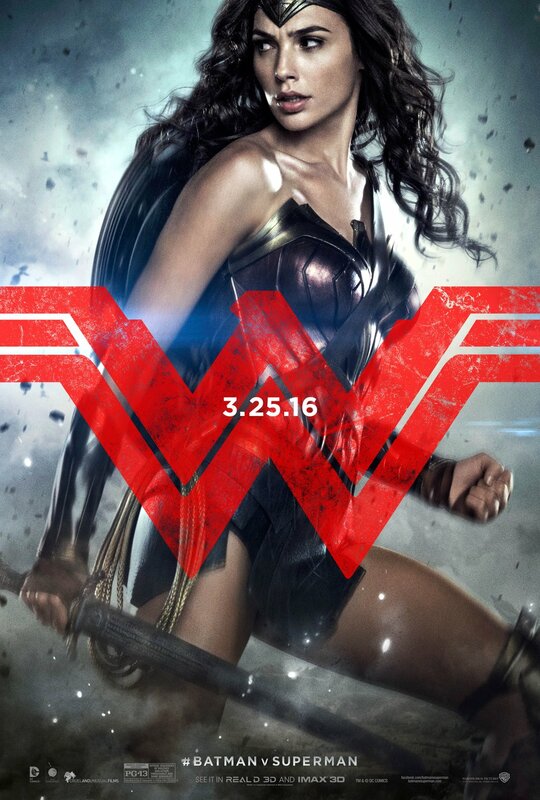 Looking mighty and powerful like a true Amazonian princess from Themyscira, Gal Gadot stands tall and ready as Princess Diana, better known by her superhero name as Wonder Woman. Clad in armor and ready to take on the alien he perceives as a threat to mankind, Ben Affleck plays a veteran Bruce Wayne donning the cape and cowl once more as he come out of retirement as Batman. 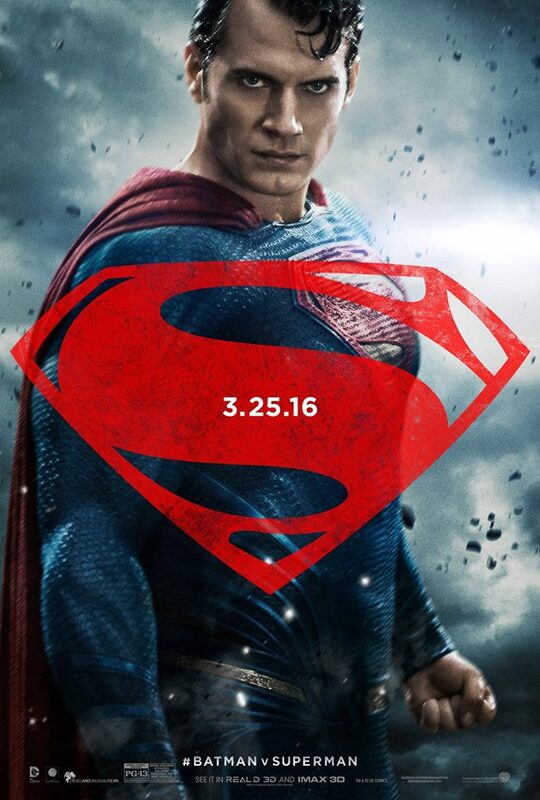 Still trying to adjust to being a symbol of hope and peace in his adopted homeworld, Henry Cavill reprises his role as Clark Kent, also known to the world as the powerful hero called Superman. Previous articleFirst Look: The All-New, All-Different Female Ghostbusters!